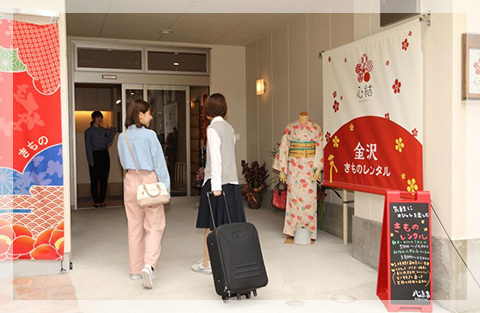 着物レンタルshop・心結(KOKOYUI) / Will you walk in Kanazawa putting on "kimono" that is the Japanese culture? 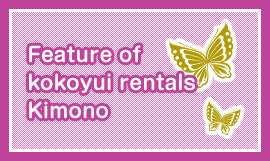 Just a five-minute walk from Kanazawa Station! Select your favorite from our 800 kimonos. 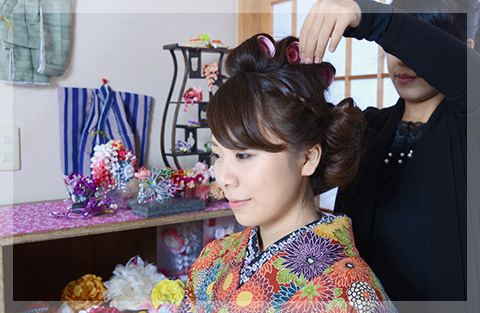 We dress you carefully so you don’t have to worry about your kimono coming loose during the day. Choose your favorite hairstyle from eight examples. 5. 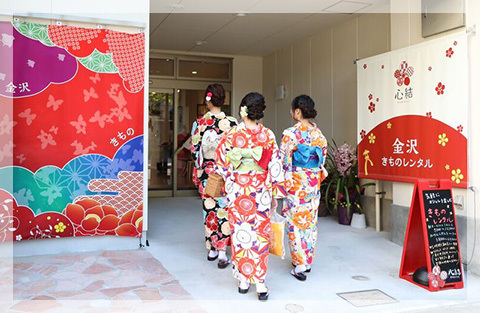 Sightseeing the historical places of Kanazawa wearing a kimono will be a wonderful memory! We also offer photo sessions plans and guided tour plans as well. Choose one of the two return options below. Bring your kimono back to Kokoyui by 5:30 to change back. 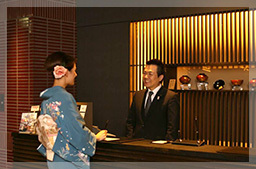 Go back to your hotel in your kimono and change back in your own room. Please use the contact form below for reservations or inquiries. copyright (c) 2010 KOKOYUI. All Rights Reserved.